TPK Averted By DM Incompetence! Pictures at 11! 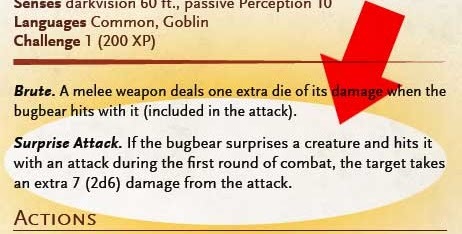 Session #2 of our introduction to D&D5e, via the Lost Mine of Phandelver, was saved from a TPK* only because I skipped over the monster description for the Bugbear and failed to read a crucial point. I'll know better in future. Yowzah! It's New! It's Shiny! I have to say, even on a very brief acquaintance, I can see that it contains a hell of a lot of fluff that I would have ruthlessly edited out, had it been up to me. But it wasn't.... those FOOLS! It's got lots of good, useful stuff in it too, so that's all right. I see a few areas where I want to make some changes, though they're pretty minor really. I'll be changing the time scale for ritual spell casting. The rules as written say a ritual spell takes ten minutes longer than normal to cast, but my view of rituals is that they're the sort of things that take a lot longer than that — hours, possibly days. I think I may institute STR reductions for halflings, gnomes and elves. The idea of a three foot tall hobbit with a strength of 18 just offends me. I know that this is not a game of realism, but tough. Done — from now on, elves will get -1 STR, gnomes get -2 STR, and halflings get -3 STR. That still means a halfling could conceivably start with 15 strength and thus be stronger than a burly six-foot human blacksmith, but c'est la vie. The alternative to that is to also institute STR Maxima, which I am loath to do. I've started playing around with the character creation rules, recreating my favourite old character, Prince Fnord the Pretty Neat and Well Beloved at 13th level. It gratified me to see how compact his basic character description could be in 5e at this relatively high level; the great bulk of his character sheet would be taken up with equipment and magical doo-dads. The hardest part about the conversion was thinking about just how to define his personality traits along the lines of the samples given. However, considering how long Fnord's been around, I don't really think it's really all that necessary; his character has long been established, so I don't really need any set written guide as to how to roleplay his reactions. Next up in the series of Useful Potential Innocent Bystanders is this one — Reaper 77084: Townsfolk: Innkeeper. I wanted to make his apron and washcloth look disgustingly unhygienic, and I don't know that I've really achieved that, but I'm pretty happy with it nonetheless. The pockets and folds do make it look a bit like he's wearing a happysmileyface. In spite of my initial inclinations to leave all the townsfolk in stunning black & white, I started painting them in colours after all. The first of them out the gate is this housemaid or charlady or serving girl or whatever you want to call her. She's figure number 77088: Townsfolk: Grandmother, though she doesn't look very grandmotherly to me. This could be quite a flexible gaming piece in terms of time period; she could serve for pretty much any time from the 1300s to the 1920s. Here's another version of the same figure. Not a black & white photograph. There's some town-based action on the near horizon in my D&D campaign, so I thought it behoved me to get some innocent bystanders painted in preparation for the inevitable carnage. 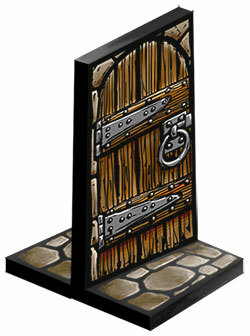 These are from Reaper's Townsfolk sets, from their first Bones Kickstarter. I have another identical set as well, so there are plenty of potential victims to stock any likely scene. I've under-coated these in black, and then sprayed a downward-raking coat of white to bring out the contours of the figures, and to provide some artificial shadowing. I was going to over-paint with glazes and washes, but to tell the truth I kind of like them just as they are. I think I might just leave them monochromatic, for the time being at least. Then I can play my town action in arty-farty "Sin City" black & white. 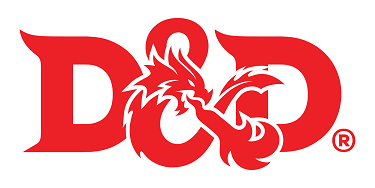 Last night we had our first go at D&D 5e, using the el-cheapo Starter Set, with me in the DM's chair running the supplied adventure, Lost Mine of Phandelver. Inevitably there were some hiccups, since none of us really knew what we were doing. We've all played enough 3e to be comfortable with the fundamentals of playing the game, but it took us a little while to start to come to grips with the new survivability mechanisms. Also, since we were using the pre-fab characters, and none of the others had seen any of the character creation rules in the Basic Rules PDF, we had to do a little bit of deduction to figure out why some of the values given were as they are. However, I think we're getting a decent handle on it, and it seems to play pretty smoothly and easily. One major down-side to using pre-fab characters is that players don't have the same emotional attachment to them as those they've built themselves; I have no doubt that when my PHB arrives, there will be a massive cull and replacement of characters. The adventure is written with a neophyte DM (as well as players) in mind, which is handy because it meant I could devote more of my limited intellect to learning the new rules rather than juggling monsters and encounters. Something that I think would have been advantageous though, would have been to have the various maps printed on separate sheets — it's not a biggie, but it would have meant less page-flipping. (I've since scanned and printed them myself.) 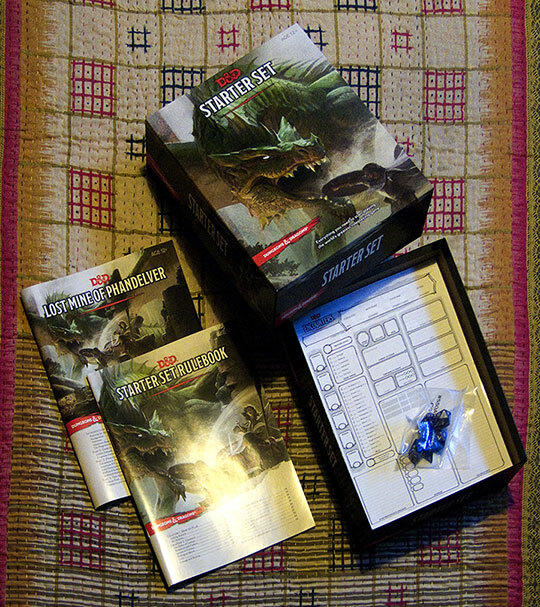 Also, having the monster descriptions/statistics in the same booklet meant I had to keep jumping from my place in the adventure to the stat-blocks and back... fortunately, the 5e monster stat-blocks are about a bajillion times simpler than the 3e ones, so it's not usually too bug a deal to scribble down the relevant info in my notebook. I'm feeling cautiously optimistic about this version. I stepped out on to my front porch this morning to find a little package waiting for me — a couple of blisters of FUDGE dice that I ordered from Evil Hat Productions. 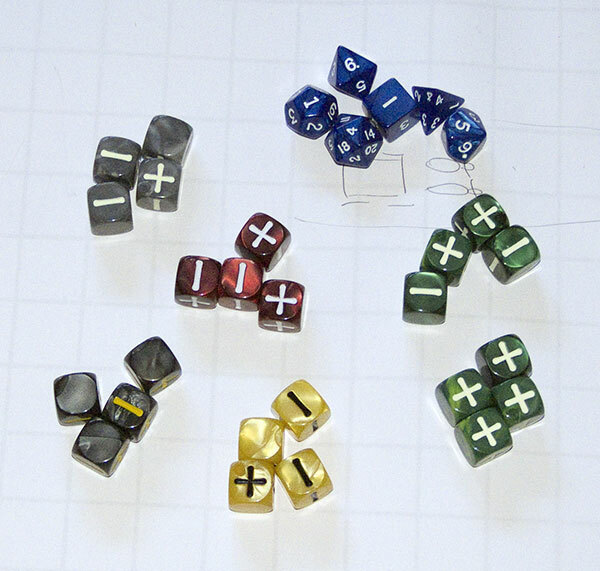 Each blister cost $15, for three sets of four dice (so, $1.25 per die). 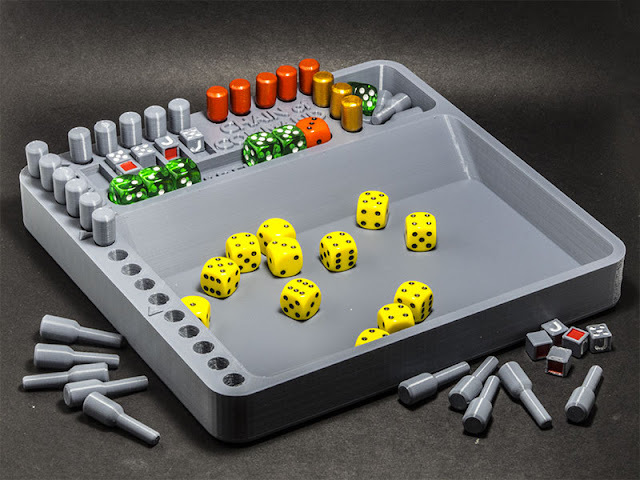 That's not too bad for speciality dice; not the cheapest ever, but not overly expensive considering what a niche product they are. I really like FUDGE conceptually, but I have to confess that I've never actually run a game myself. I played in one brief game that I enjoyed, but that's it. Therefore, these dice aren't really likely to see much day-to-day use. But now I am PREPARED. This just arrived this morning. I ordered it from Amazon, because it was on sale for a shiny penny (actually about thirteen bucks) and I thought it would be a fairly cheap and easy way to get to grips with D&D5e, and more convenient than trying to use the Basic Rules PDF at the table. Plus, it includes another set of dice to add to my collection. You can never have too many dice. They look like quite nice dice too; the standard D&D set of polyhedrals moulded in a pearlescent dark blue with good, clear, readable white numbers. Those free Basic Rules, by the way, have improved a lot since their first release. It's been split into separate files intended for players and DMs, and now includes information about a bunch of monsters. It still suffers from over-padding in some areas, and from a paucity of material in others (e.g. character backgrounds, magic items), but it's definitely better and shows signs of getting better still. My major complaint about it is that it's pretty much just a layout dump from the hard-copy design, so unless you've got a good, large-format tablet, it's a real pain in the arse to try to use at the table. 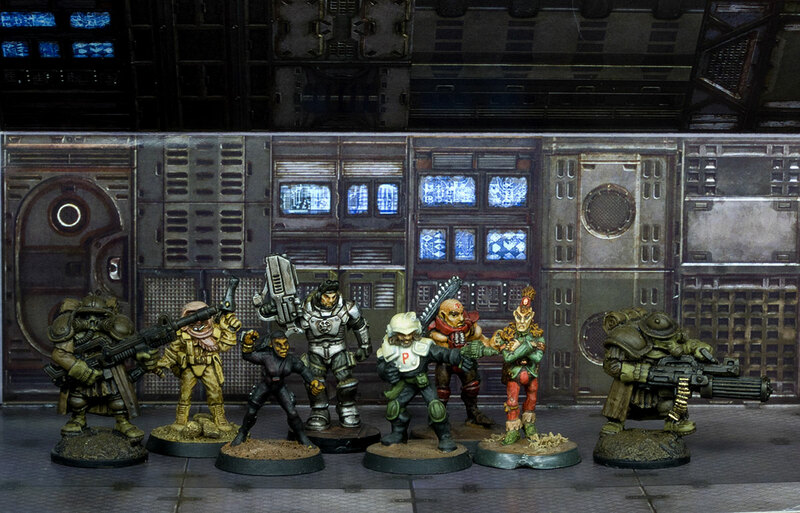 I don't have many 28mm space opera figures at my command, and even fewer painted and ready for gaming. These are all there are so far. I have some more that I got in the first Reaper Bones Kickstarter, but they're mostly armoured infantry figures — there's not a great deal of variety there. And very, very few female figures of any sort. I don't recall whether there are any more to come in the next Kickstarter; I think that's due for delivery some time about November. I've finally got around to painting a figure for my character in my friend Joff's Traveller game — Cyrus Button, bodyguard, enforcer, and party accountant. 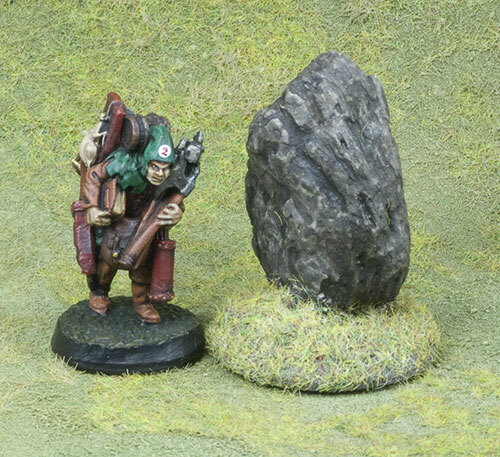 It's one of Reaper's Bones plastic range (80016: IMEF: Nick Stone by Bobby Jackson). Just in time for the campaign to fold. Oh well, timing is everything, they say. We never really used miniatures in that game anyway. Here, for your printing-and-folding-and-glueing pleasure, are some doors. The link points to a PDF of about 650 KB, with 16 doors ready to assemble, and some simple instructions. They should be printed on reasonably heavy card. My own laser printer won't handle anything heavier than paper, so I print on to sheets of un-cut self-adhesive label paper, and then stick that to black card before cutting anything out. 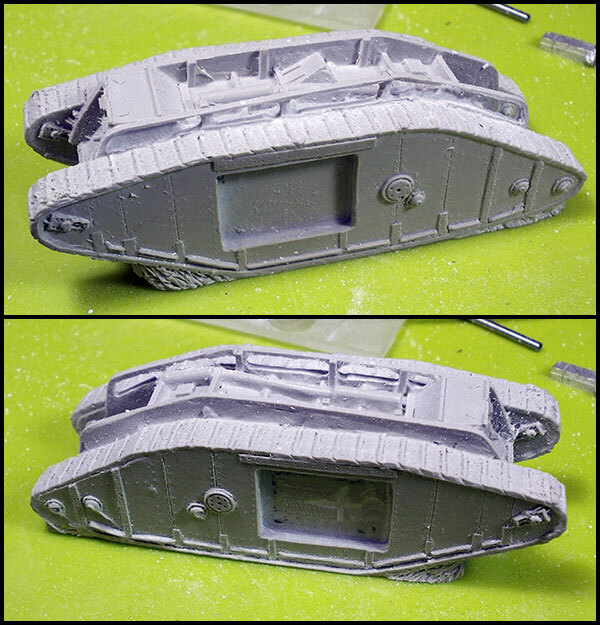 I bought a Mk.IV tank from Peter Pig to accompany the WW1 British infantry I bought from them a while ago. In fact the infantry and the tank aren't right together, chronologically, as by the time tanks first appeared in 1916 the Brits were equipped with steel helmets, and this one — the Mark IV — didn't appear on the battlefield until 1917. The model isn't too bad for the price (£6.50 plus postage) but it does have its flaws. Not the least of which is that the rails running along the top of the vehicle, to hold the unditching beam, are moulded as solid plates rather than as the posts and rails they actually were. No doubt this simplifies manufacture of the model, but I think it would be substantially improved if the rails were provided as separate white metal pieces. I set to work on it with my Dremel(ish) drill to free it up, but the resulting resin structure is a little fragile. Once the rails were cleared out, I ground down the resin under the vehicle a bit so that the tracks are hard against the table surface, and assembled the few parts that go to make up the model. These consist of the resin body, and white metal sponsons and unditching beam. The sponsons suffered a bit from pitting, and needed some filing to get the affected surfaces flat again. All the rivet detail is impressed into the surfaces rather than standing proud, so it was a simple matter to replace it where I'd filed it away. I gave the whole thing a base coat of khaki-green to begin with, and because I intended to paint it in the outlined disruptive camouflage pattern typical of late-war vehicles, I marked in the crazy-paving pattern in black. I find it much easier to do the outlines first and then colour in the panels rather than the other way around. 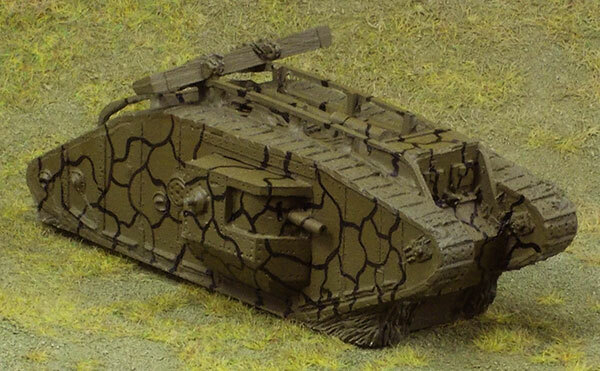 Once all the camouflage had been applied, and the unditching beam and chains and what-not painted, it was just a matter of weathering the crap out of it. I don't go overboard with mud effects in this small scale, because they tend to drown any detail present, so instead there's just a lot of streaking and stuff like that. I managed to bust a section of unditching rail while I was weathering, and the fragment flew off I know not where. I could fix it easily enough, but I probably won't bother. When running a game mostly on the fly, and letting the dice make most of the decisions, it is really easy to get yourself into some real trouble when it comes to building any kind of rational storyline, especially when your memory isn't that great and you don't look ahead to see the consequences of the half-arsed rulings you're making off the top of your head. On the other hand, it can be a real hoot. I thought I had already put these up here, but when I went to find them I could not. So, here they are. They're made out of bits of pine bark, glued together and painted. The poor 28mm overladen flunky is added for scale. And of course a single standing stone is always handy. 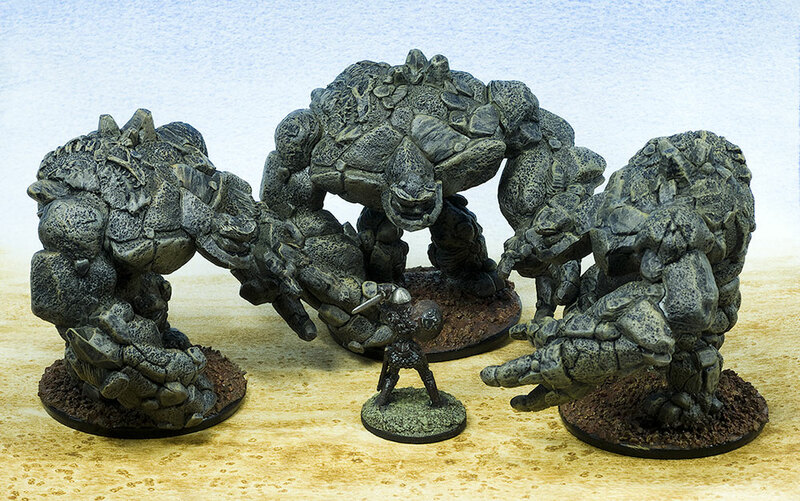 These three craggy-looking guys menacing the poor, soon-to-be-squished unfortunate in the middle are Reaper's Bones 77185: Large Earth Elemental by Kevin Williams. I haven't gone to any great lengths with the paint job; pretty much just a base coat, wash and dry-brush to get them to a usable tabletop state. They look rocky enough for the job at hand. They're glued to honking great 50mm washers, which gives them excellent stability. 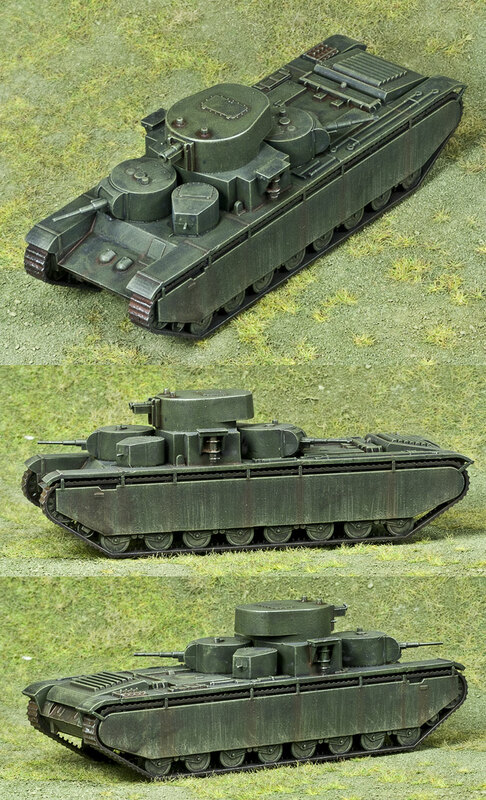 Here's the plastic 1:100 scale T-35 from Zvezda that I introduced a few days ago. I've painted it in a quick, plain Russian green scheme, without any markings of any kind. I may add some later; I think that when these were being used, the Soviets were still in the habit of painting red stars on their tanks. I've photographed it along with all the 15mm Soviet troops I own. I decided that it looked a bit too bland with no markings at all, so I painted on an old-style red star and hammer-and-sickle. This sort of thing makes me wish I had some waterslide decal paper for my laser printer, but the hand-painted markings will do for the moment.